The Foundation For the Advancement of Women Now (FFAWN) aims to help all women gain the confidence and skills they need to reach their full individual potential. Through scholarships, grants, and programs that foster strong self-esteem, career development, and personal growth, FFAWN is intended to help women gain the confidence and skills they need to achieve success. FFAWN will initially focus its efforts in Yonkers and surrounding communities in Westchester and then expand its scope to include the Greater New York area and, eventually, the entire country. 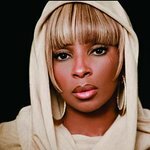 The organization’s first and primary partnership, the Mary J. Blige Center for Women is focused on helping young, single mothers enhance their parenting skills, obtain educational and vocational support, and access individualized programs designed to help these women reach their goals and lead full, happy, productive and healthy lives. We don't have any videos related to FFAWN.